Sea freight, also known as ocean freight, is one of the longest established forms of transporting goods around the world. With our LCL (part container load) service, you don’t need to have enough cargo to fill a whole container in order to get a super cheap shipping rate. Sea freight specialists since 2001, Global Freight Management LTD has been trading for over 20 years. 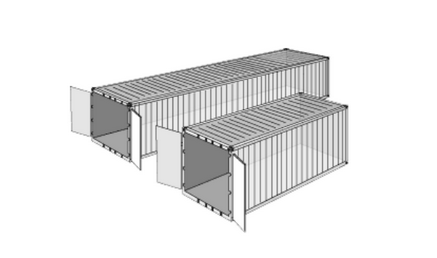 Dry containers 20′ and 40′ (general purpose) are manufactured from either aluminium or steel. They are suitable for most types of cargo. Aluminium dry containers have a slightly larger payload than steel, and steel dry containers have a slightly larger internal cube. Specific dimensions and capacity of dry containers may vary depending on the container manufacturer, the age of the container and the container owner. The specifications listed below are, however, representative.